Jeff Shattler seems to be getting better with age. 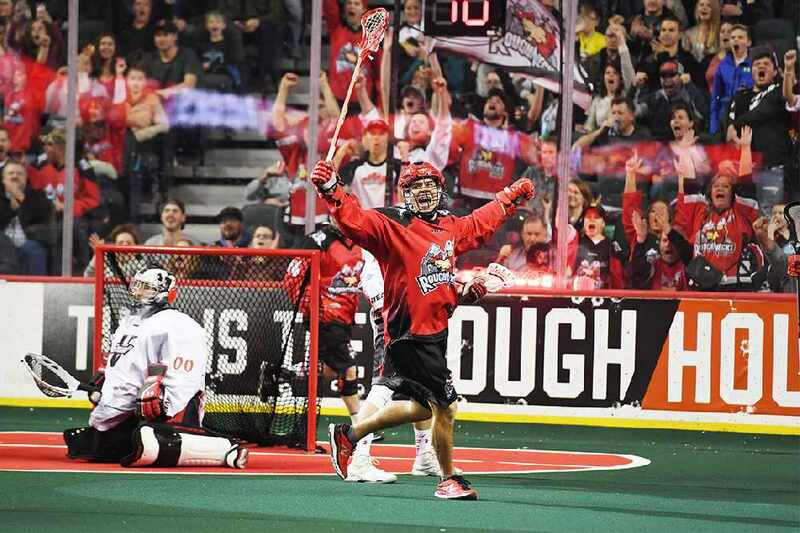 The 32-year-old Ojibwe is now in his eleventh season with the Calgary Roughnecks, members of the National Lacrosse League (NLL). Shattler, a member of Ontario’s Wikwemikong First Nation, is coming off his career best season with the Roughnecks. He racked up 87 points (30 goals and 57 assists) in 18 regular season matches. His 87 points surpassed his previous career high of 84 points, achieved during the 2014 campaign. Shattler is also off to a decent start this season. He’s earned eight points, including four goals, in Calgary’s first two contests. Shattler believes he’s in the best shape of his life right now. Shattler also feels blessed to still be playing the sport professionally. He broke into the NLL during the 2006 campaign when he played one game for the Buffalo Bandits. After that one appearance with the Bandits he was traded to Calgary and has been with the Roughnecks since the start of the ’07 season. “It’s just a great feeling to be able to play this game as long as I have,” he said. Shattler and his teammates, who are sporting a 1-1 record after splitting their first two matches this season against the Vancouver Stealth, return to action on Jan. 20 with a road contest in Denver versus the Colorado Mammoth. No doubt Shattler will be looking to earn several points. That’s because he is now on a quest to surpass the amount he accumulated a year ago. Roughnecks’ head coach Curt Malawsky, a former NLL player himself, believes Shattler is playing the best lacrosse of his career right now. Malawsky though is not too concerned whether Shattler registers even more points than he did a year ago. “Shatts does a lot of things away from the ball,” Malawsky said, adding his star player does great transitional work and also scoops up numerous balls allowing his squad to maintain possession on offence. Malawsky reasons the more points Shattler does get the better off the Roughnecks will be. “If he hits 90 points, that’s great for us,” he said. Shattler, who has called Calgary home since the age of 20, keeps playing lacrosse, in part, because he is uncertain of what life will be like for him when he does retire. “I don’t know what I will do when I stop playing,” he said. But he believes that time is still a few years away. Shattler is confident he can continue playing in the NLL at least until he’s 35. “As soon as I can’t be in the Top 20 in league scoring, then I’ll let the younger guys take over,” he said. Shattler is also keen to win some more championships before he does call it a career. He’s been a member of one NLL championship squad, with the Roughnecks in 2009. The nine-team NLL traditionally begins in late December and continues until May. Since turning pro, Shattler has also been spending his spring and summer months playing senior ball, either in the British Columbia-based Western Lacrosse Association or in the Ontario Lacrosse Association. Though they are not deemed pro loops, both of these circuits are stocked with NLL players. During his senior career, Shattler has won the Mann Cup, the Canadian title, twice. He was a member of the Ontario-based Brampton Excelsiors when they won in 2009. And he won another championship with Ontario’s Six Nations Chiefs in 2014. Shattler has also won some individual awards during his career. In 2011 he was chosen as the NLL’s most valuable player and the league’s best transitional player. Shattler’s trophy case also includes three medals he has won at the three world championships he has competed at, representing the Iroqouis Nationals. He was on the silver medal winning clubs at the 2011 and 2015 world box tournaments, staged in Prague and Syracuse, respectively. Shattler also helped the Iroquois Nationals win the bronze medal at the 2014 world field lacrosse tournament held in Denver.